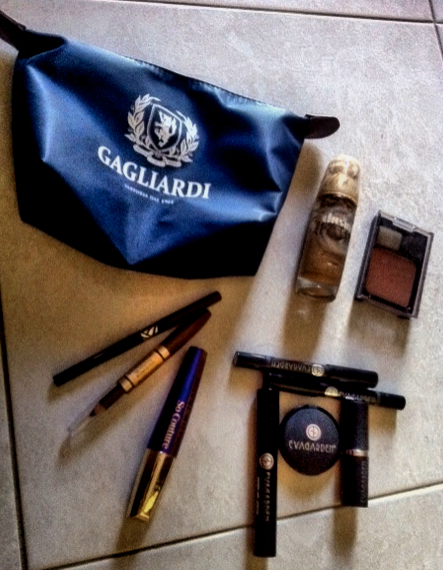 26/01/2015 03/07/2016 Style in TransitLeave a Comment on What’s in my make-up bag? A while ago I was tagged by the lovely Dorianne from askdorianne.com to share the make-up items according to that question. It takes me a while to get around these tags but eventually I tick them off the to-do list for my blog. So sorry for procrastinating. Anyhow, if you’re interested in the make-up products that I consider to be either my favourites or those that work well for me then have a look! Before I head into it, I need to mention that I have combination skin so if you do too you may consider trying them out (unless you already do). I have had face mapping sessions at my beautician so I know which areas tend to be drier and those that are more oily – but maybe I’ll write about skincare another time. The first thing is foundation. I hardly ever leave the house without any, not out of vanity but to protect my skin from the elements. Plus the foundations I use tend to have an SPF factor in them so it’s a win-win! My favourite is Dream Satin (liquid airbrush in 40 fawn) by Maybelline- I must say it works like a dream as it gives my skin a glow and sheen that is not overdone, it blends in perfectly with my skin tone and it’s so soft to the touch. I stopped using powder foundations a long time ago and I don’t think I’ll look back now. Bronzer: I have to admit that I don’t really have a handy bronzer at the moment to carry around (I usually take some that can do the touching-up trick like Max Factor – 215 sable flawless blush). 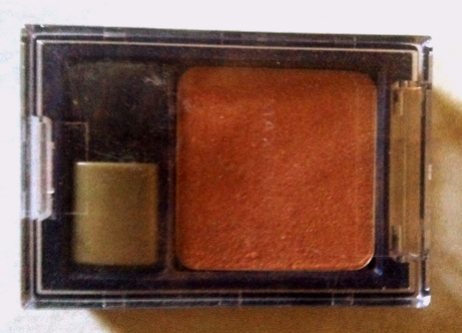 Instead I use the bronzer in the NYX palette and I blend two tones. Either that or a light pink blusher if I want to keep my cheeks more natural-looking. Eyes: the first product is eyeliner. Once again I have replaced pencil with liquid and right now I’m loving the Art Deco long-lasting liquid liner (01) which I thought does a good job when I’m in a hurry. When I wear mascara, it’s usually So Couture Volume Million Lashes by L’Oreal. Eyeliner: I don’t use eyeliner under my eyes that often now except for shaping and this would have to be in a natural colour like brown. So for this I use Excess Intensity by Max Factor (roll-up pencil 06; brown). Eyebrows: I get my eyebrows done for shaping but on a daily basis I like contouring them and the product of the moment for this job is Revlon Brow Fantasy (brunette; pencil and gel combo). Eyeshadow: this will vary in use according to my lipstick. I either put on one of the shades in the NYX palette (again not really carrying around, sorry it seems like I’m not true to the question). 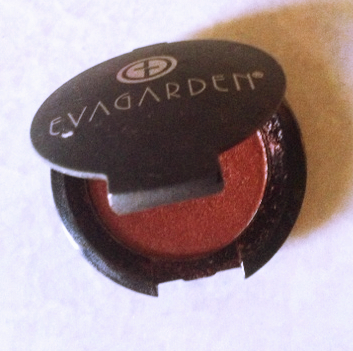 So if it has to be ‘in my makeup bag’ then it’d either be the Eva Garden (bronze – glaring 265) or one of the gel sticks (also by Eva Garden: twist-up eyeshadows 314 – light charcoal – and 312 – jade green). The latter are my favourite at the moment: easy to apply, neutral in colour, they add a bit of shine and you can layer on some powder shadow for smoky effect. 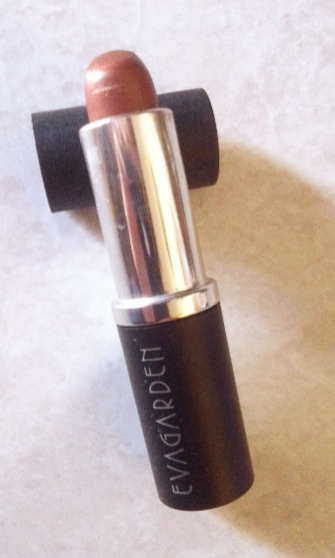 Lips: this is by far the easiest as I tend to carry with me the lipstick I would have applied before heading out. It is either one of my chubby lipsticks (e.g. 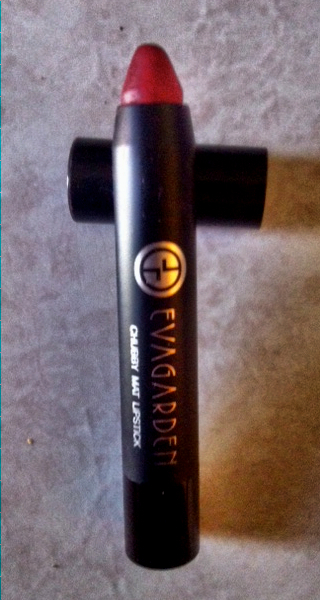 38) or the one in bronze (again all by Eva Garden and best of all, paraben free). So that’s it for this tag! Till the next one!